So what is this big adventure? Sounds like you guys are ready! Beautifully written and inspirational… thank you! Do you mind if I share this? thanks Bonnie and please do! Oh thank you for that I too am on a huge ‘change’ adventure but truly believe it is only supernatural powers that allow us to relax and take the journey knowing that all we have to do is behave well and the rest is already kinda taken care of….it is natural to fear, worry and complain that is why supernatural ways to behave are harder and need to be a conscious decision,,,,,enjoy the ride girl I am right beside you! Wishing on pizza stars–I love it! Sounds like a fun family meal. Can’t wait to hear about your big change. I’m usually a little fearful of change too, but I do remind myself that things always work out in the end. Thank you for your perfectly timed post. Our family is on our way in to a BIG change/adventure. I tend to freak out and worry and focus on all the things that I don’t like. That I am afraid of. Your post has given me inspiration to sit down at our own table and invite our new life in. Thank You! This morning when I got to my computer I was a bundle of anxiety and fraying nerves. Then I read this, took a deep breath and smiled at my to-do list. There’s love in my to-do list peeking out behind the worry and uncertainty – I just have to remember to see it. Thank you for reminding me! Sending lots of love and support for your adventure! 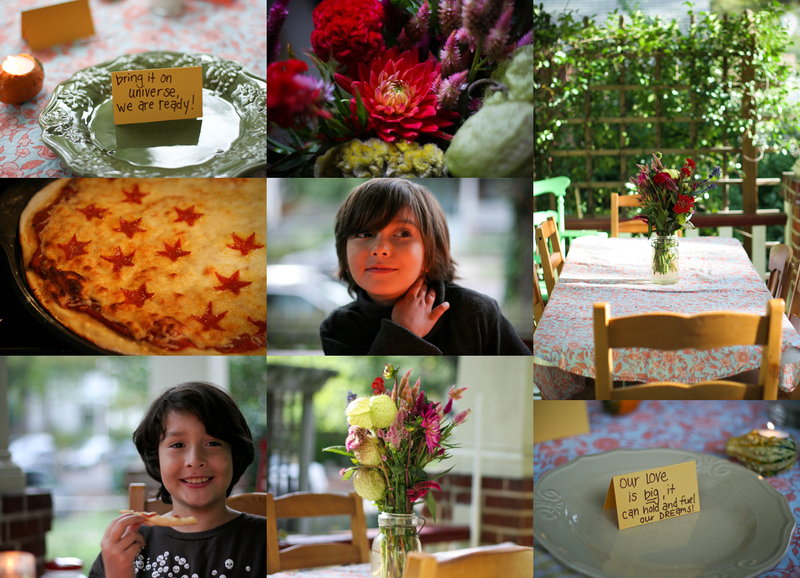 Patience, my dear….I LOVE the table…so pretty…so welcoming, comforting, and just lovely. You remind us to make the ordinary extraordinary…and the scary can be lovely if you just look at it differently. I’m so inspired! Can’t wait to hear about your new adventure…lots of love coming your way! Thank you for this sweet spot of my day. Thanks, I so very much love your blog. I actualy love change, though it can be scary…I am in the midst of some life changes, as usual, and it is scary this time. I am staying home with my son a little longer and not going back to work, terrified that my career with go downhill, but loving taking care of my baby! 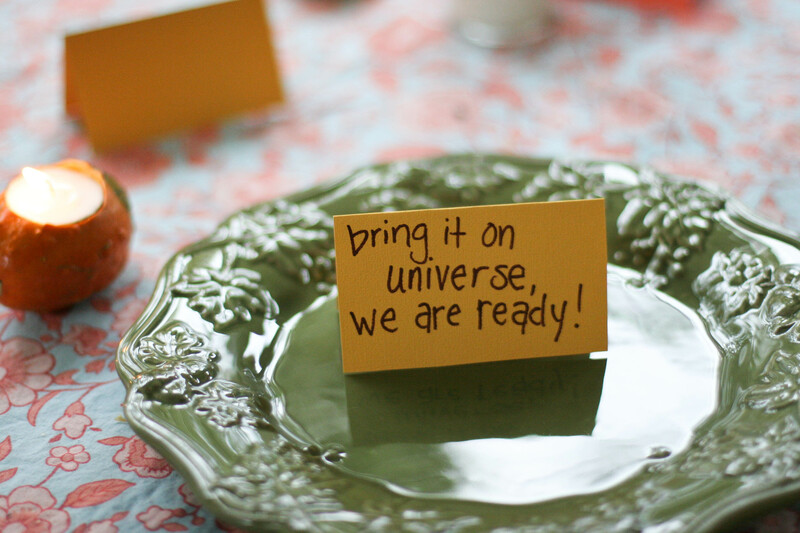 So yes, bring it on universe! patience it will be okay and actually, it will be great!!!! Love to you on this journey! Best of luck, no matter what your new adventure is. You are amazing, so I am sure that the adventure will be, too! It is a pleasure to meet other agents of Random Acts of Kindness; thank you for being a cultivator of positivity.